ALL THE VOLTS, ALL THE AMPS, ALL THE TIME! 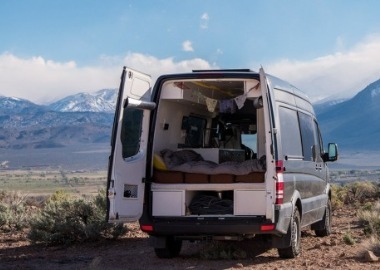 Lithionics produces the most versatile Lithium-ion Iron Phosphate batteries and battery management systems for the RV market, that provide world class integrations in the industry. Lithionics delivers New-age energy solutions that pioneer new savings, new technologies, and new markets that are simply not possible with current battery technology. Lithionics offers the widest range of stored energy solutions superior in power, weight, and durability. Always with this priority: SAFETY FIRST! 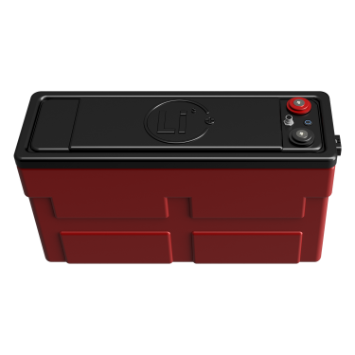 Lithionics Battery’s Lithium-ion Iron Phosphate battery system with NeverDie® Battery Management System technology will revolutionize your dry-camping experience. 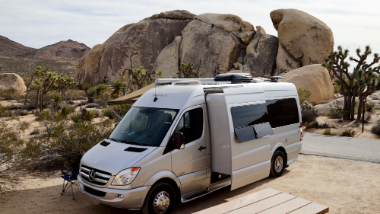 Cut down on generator run time and minimize charging time with an advanced Lithionics Battery® solution for your RV house power needs. Be sure to pair your lithium battery with approved inverter/charger and solar charge controller equipment to maximize your charge efficiency and battery life. Complete generator replacement is now an option thanks to advancements in lithium battery and charging technology. 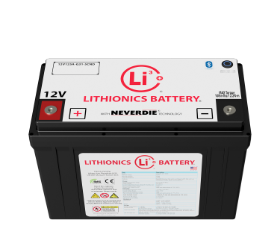 Lithionics Battery’s Lithium-ion Iron Phosphate battery system with the NeverDie® Battery Management System can be used with popular dedicated alternator options and solar charge controllers. Lithium battery systems provide weight savings, higher energy density, and less maintenance cost over generator use and/or common lead acid battery options. 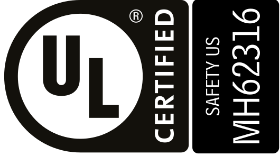 Every product and lithium battery system that is produced is 100% quality tested to ensure your battery system is ready to use as soon as you receive it. With our propriety load bank and datalogging software, we are able to certify and document your battery capacity, power delivery, and protective Battery Management System features to ensure you receive the capacity and performance you purchased. With Lithionics Battery’s NeverDie Battery Management System with OptoLoop technology, a single external Battery Management System can monitor multiple batteries in series or parallel connection. This allows a flexible system design and the ability to expand battery capacity in the future. For example, with our Plug & Play parallel combiner box, you can start with just 1 battery module, and simply plug in additional battery modules as needed. The Plug & Play system features our parallel combiner box for parallel connections, or a series wire harness for series connections. The Plug & Play connector system reduces the risk of short circuit or mis-wiring during installation, and allows you to quickly connect or disconnect your system in minutes. Lithionics Battery uses an organic Lithium-ion Iron Phosphate chemistry in all of our lithium battery models. This naturally safe chemistry is paired with an internal shut down curtain technology inside each lithium cell, preventing any flame or explosion from thermal runaway events. 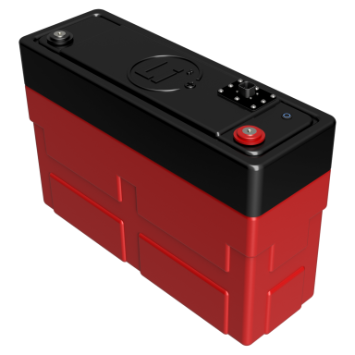 Lithionics Battery’s NeverDie Battery Management System is a proprietary design featuring protective safety features, as well as status and state-of-charge monitoring. 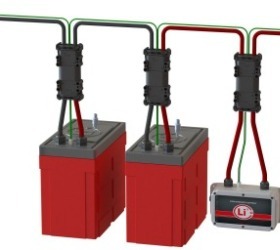 The NeverDie Battery Management System is standard on all Lithionics Battery systems to ensure your lithium batteries are operated within their rated specifications. This increases the lifespan of your battery system and protects your valuable investment. Unlike many competitors which offer lower quality MOSFET based BMS designs, Lithionics Battery® uses heavy duty contactors for BMS on/off switching controlled by a custom microprocessor. This allows for continuous current ratings of up to 400A to match the high performance of your lithium battery module.